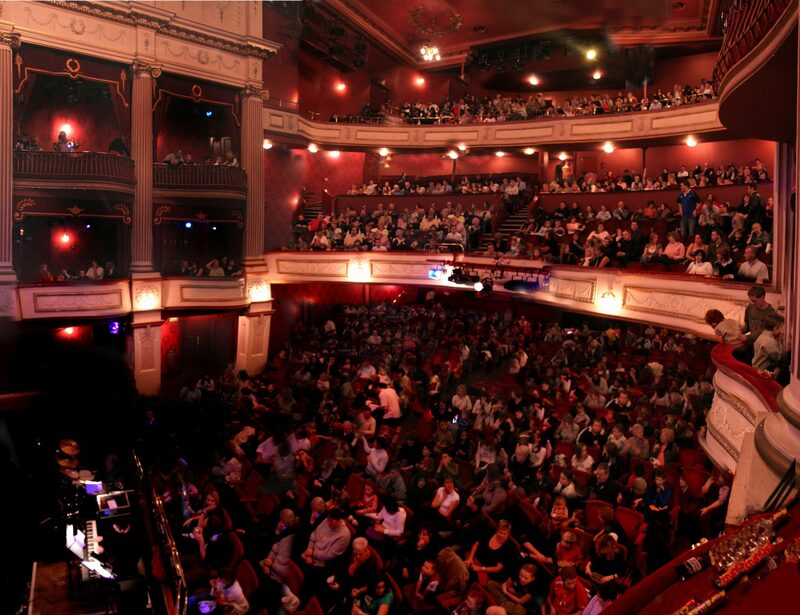 Situated in the heart of the Welsh capital, the New Theatre has been entertaining the people of Cardiff and beyond since 1906. With a roster of legendary artists who have trodden the boards over the past century, the venue still attracts the very biggest names in the business today. Its year round offering of drama, musicals, dance, comedy, family shows and yearly pantomime attracts audiences of all ages and backgrounds. Presenting the best in touring shows, many just before or after a West End run, the New Theatre has a special place in heart of Welsh theatregoers. Its year round offering of drama, musicals, dance, comedy, family shows and yearly pantomime attracts audiences of all ages and backgrounds. Presenting the best in touring shows, many just before or after a West End run, the New Theatre has a special place in heart of Welsh theatregoers. The New Theatre is located on Park Place in Cardiff’s city centre, close to the beautiful Civic Centre buildings. There is nearby free on-street parking around City Hall Monday – Saturday after 6.00pm and Sunday after 5.00pm. On Saturdays and Sundays there is a daytime Park and Ride service into the city centre with convenient drop off points from both County Hall and Crown Way (off North Road). By bus: The New Theatre is on numerous bus routes through the city centre. Contact Traveline Cymru on 0871 200 2233, or www.traveline-cymru.info for more information. By train: The nearest railway station is Queen Street (a short five-minute walk away). Coach groups: A drop-off point for theatre-goers arriving by coach is available on Greyfriars Road. A map detailing coach parking points within the city can obtained by calling 029 2087 3253.